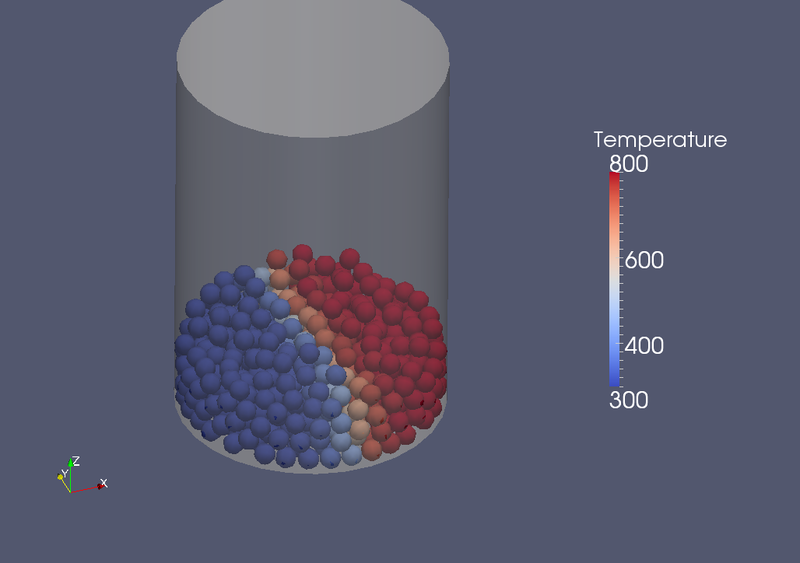 It offers a built-in model to simulate heat conduction on a particle scale. 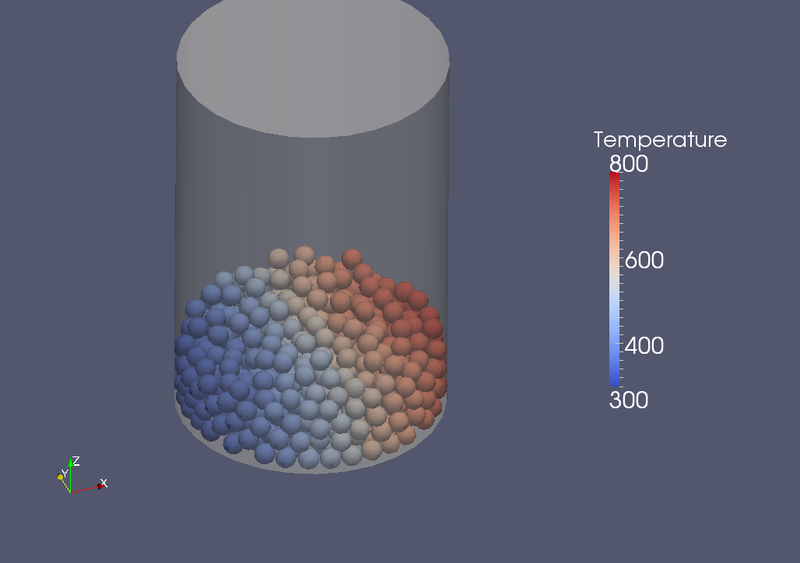 In this example, a temperature difference is imposed instantaniously, resulting in heat conduction between particles. Subsequently, temperature is leveled gradually.